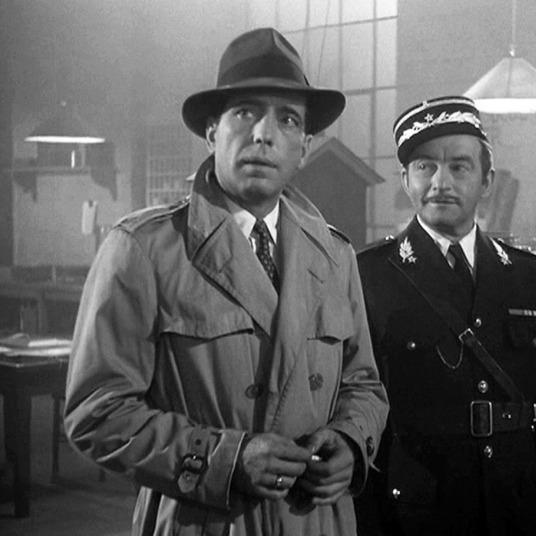 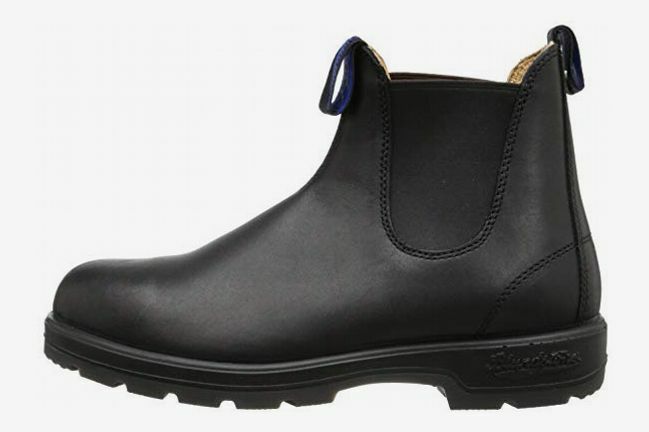 Rain can be a drag, but dressing for it doesn’t have to be. 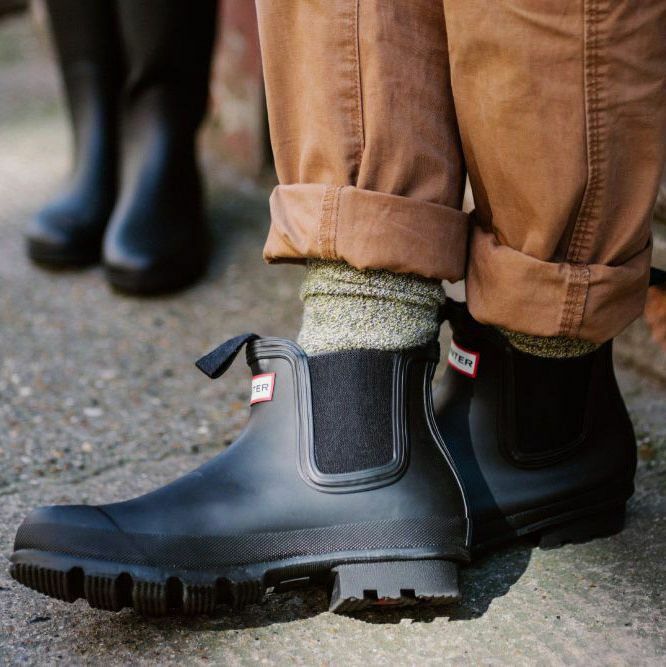 The perfect pairs of rain boots are fashionable and functional, able to keep you fly — and dry — all day, whether commuting, running errands, heading to dinner with friends (or all three). 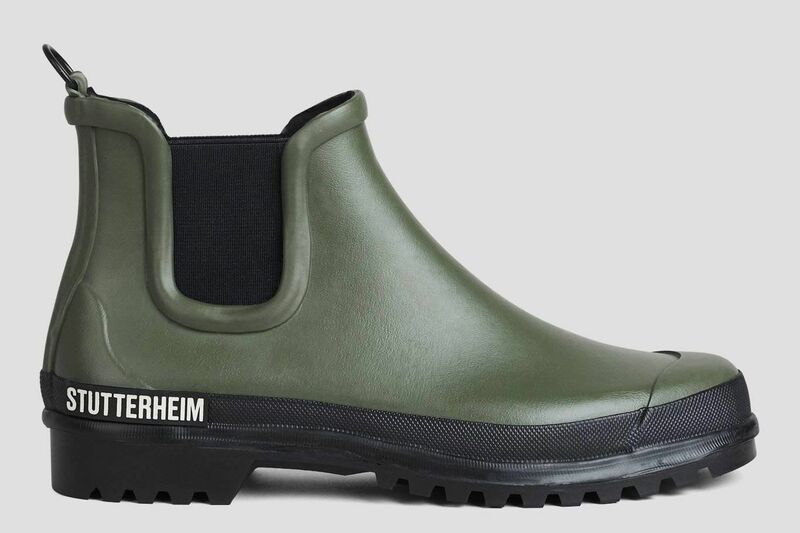 For Rain Week, we spoke to several stylish men about their go-to, wet-weather footwear, and what they use to protect their non-waterproof shoes in unexpected showers. 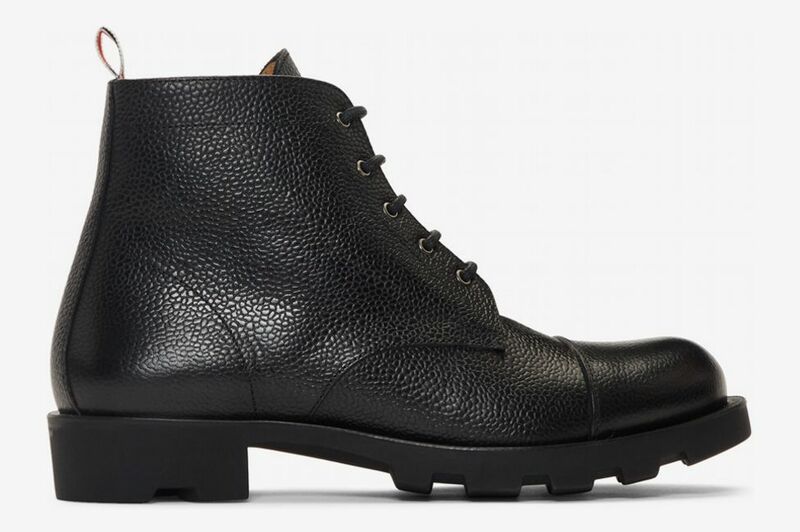 (Full disclosure: We stuck to shoes guys would wear on a normal day — not for a damp pheasant hunt, or muddy music festival, though the below boots would work for those, too.) 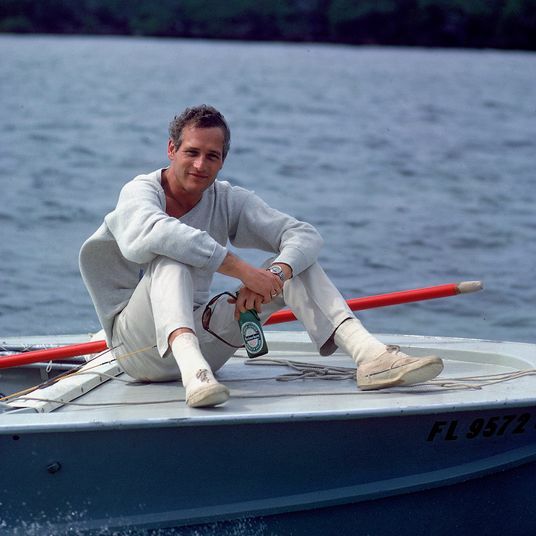 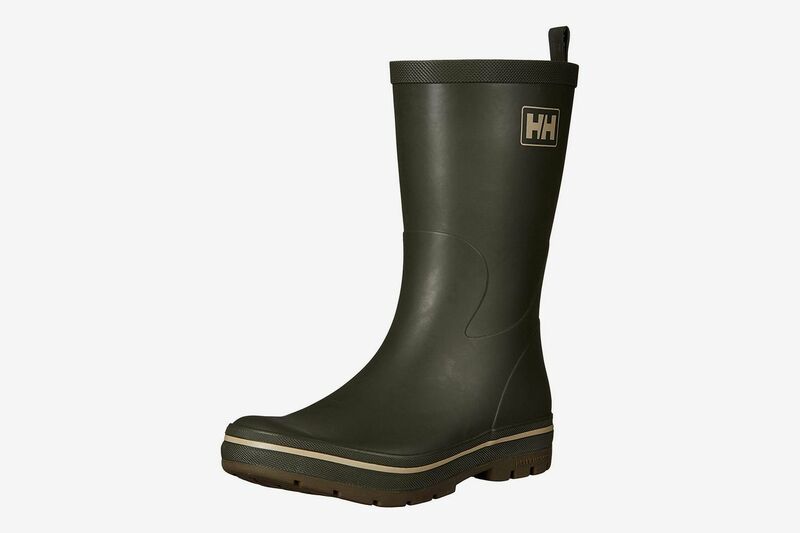 Read on for our list of rain boots that will keep your feet dry, and look sharp while doing it. 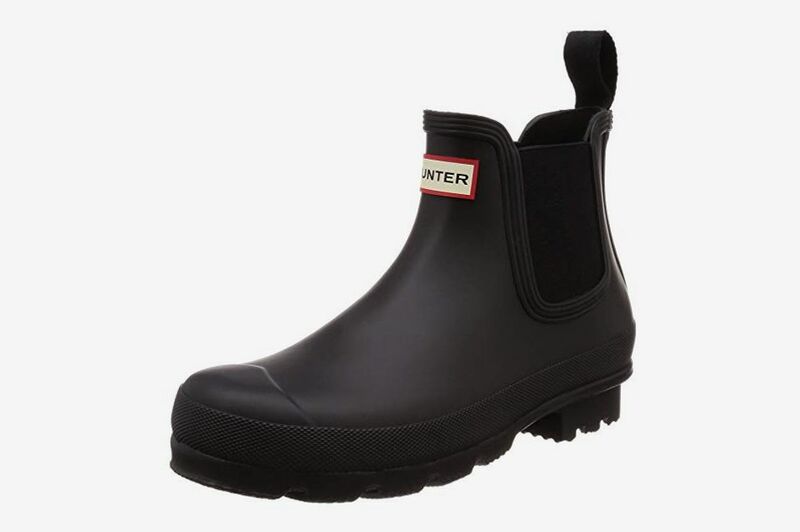 Hunter’s Original Chelsea rain boot protects feet from rain just as well as its refined sibling, but features the more-rounded toe, chunkier sole, and red-and-white logo common among the brand’s other boot styles. 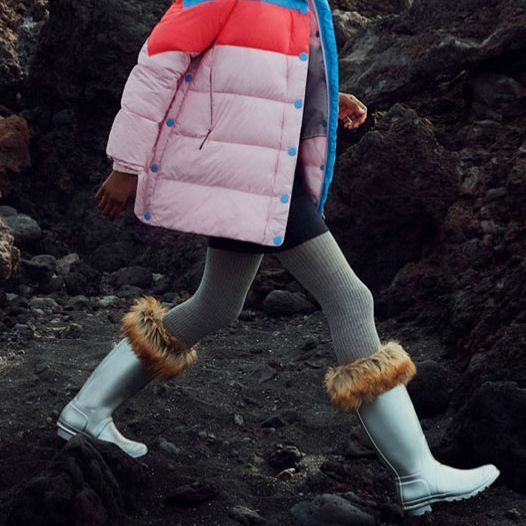 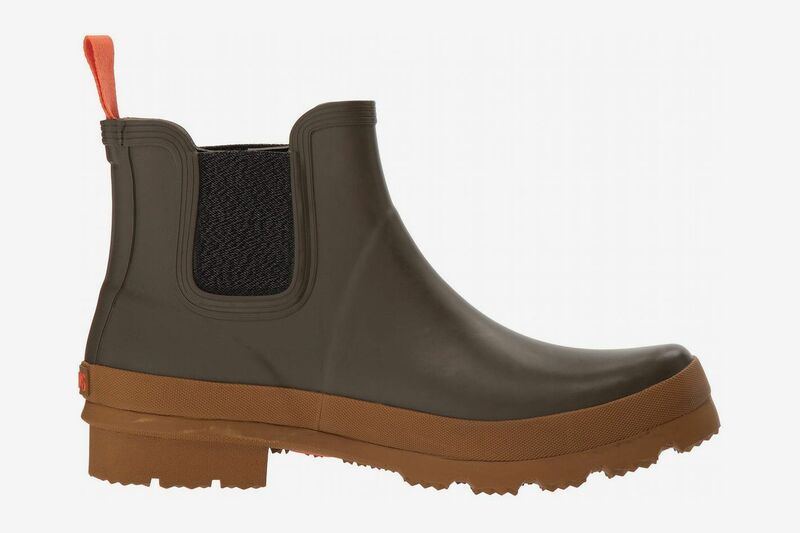 This chunky Chelsea-style rain boot by Norwegian brand Swims is designed to be worn all day, thanks to its cushioned insole and non-chafing, fabric-lined interior. 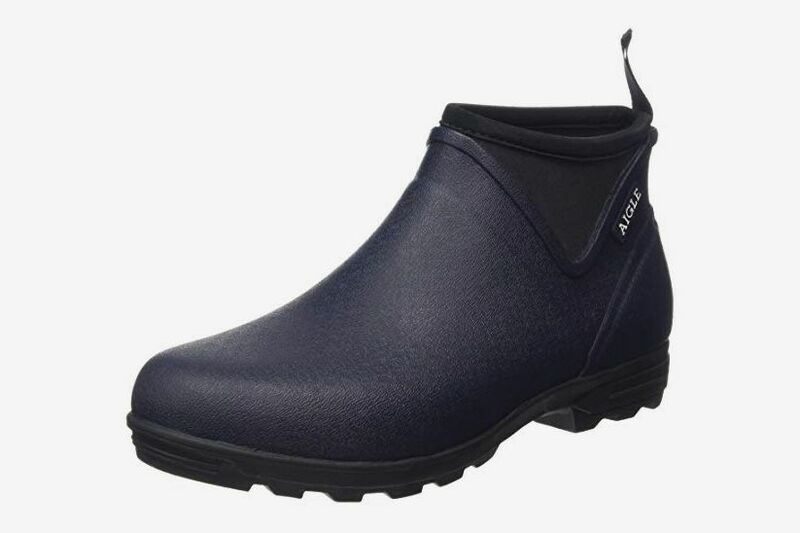 The boot, also made from vulcanized rubber, features a thick sole, providing traction on even the slipperiest of wet streets. 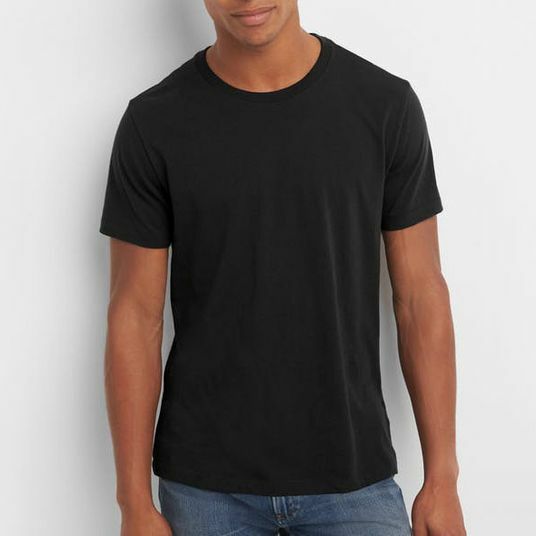 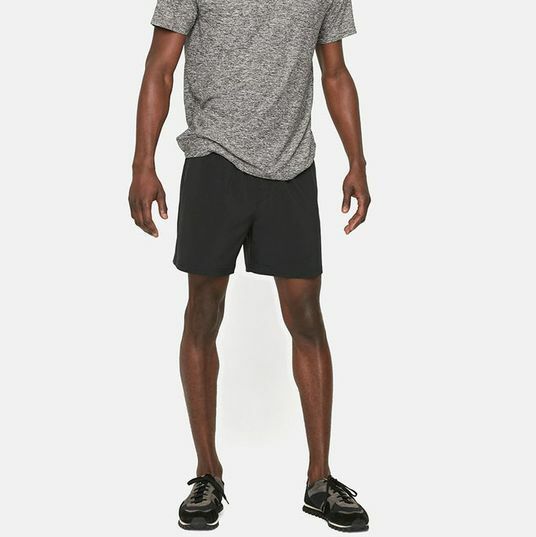 It comes in all black, too, for men who prefer a more neutral color. 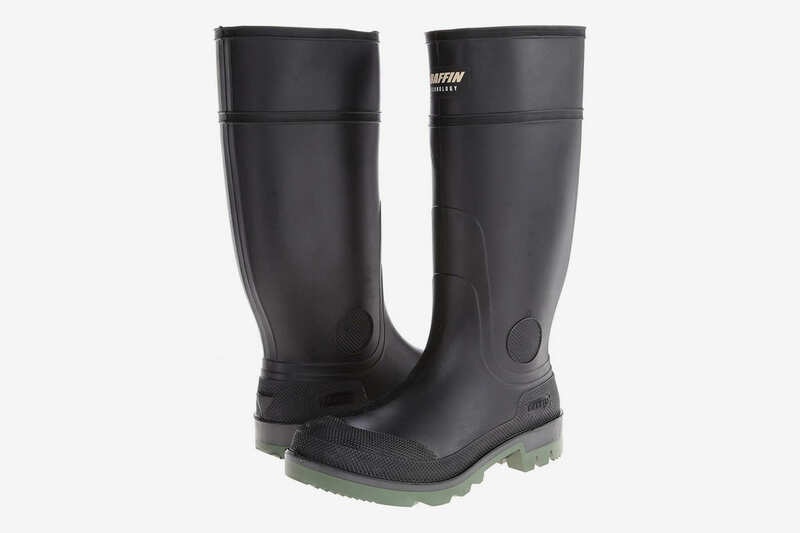 Amazon reviewers praised Bogs boots as a must-have for inclement weather, but admitted some of the company’s styles are not exactly stylish. 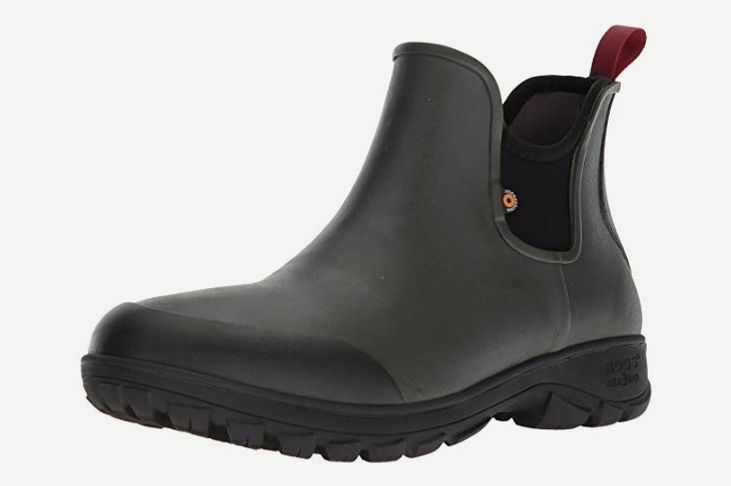 This Chelsea-style boot by the Oregon-based brand, however, has a sleek silhouette — and features functional elements including an anti-slip outsole, extra cushioning, moisture-wicking technology to stop your feet from sweating, and odor control (for when those few balls of sweat do form). 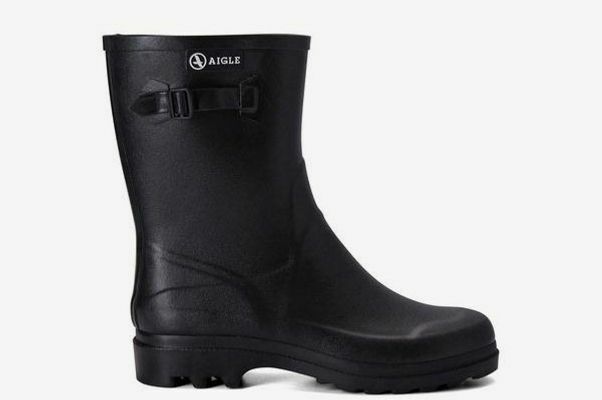 Aigle’s mid-height rain boot is a slightly dressier version of the classic style, and features a chunky sole to grip slick city streets. 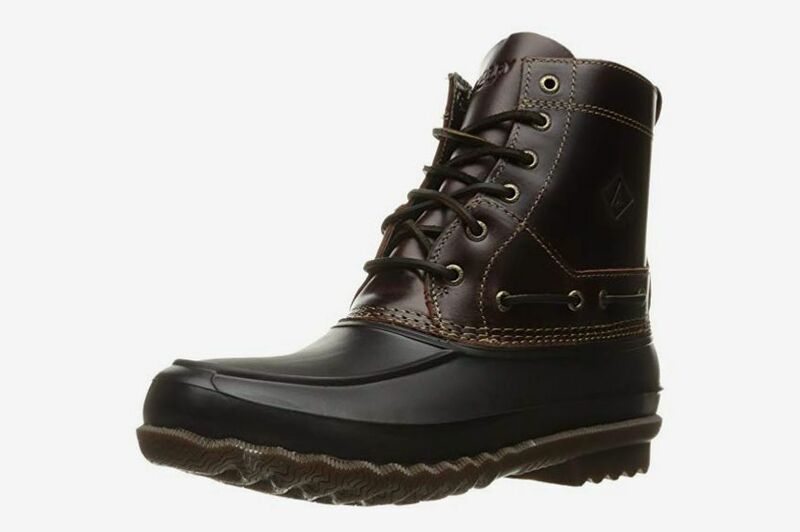 These dark brown duck boots by Sperry are a great alternative for guys waiting for a restock of L.L. 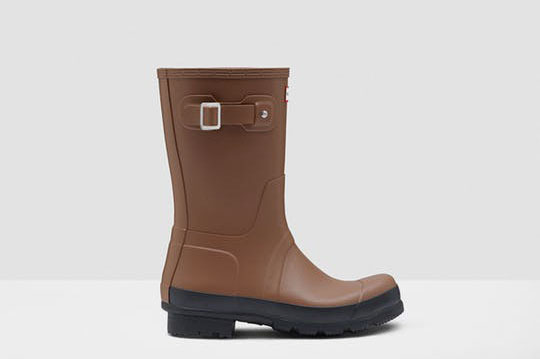 Bean’s rain boots (or who seek a different style because their significant other already owns a pair of Beans). 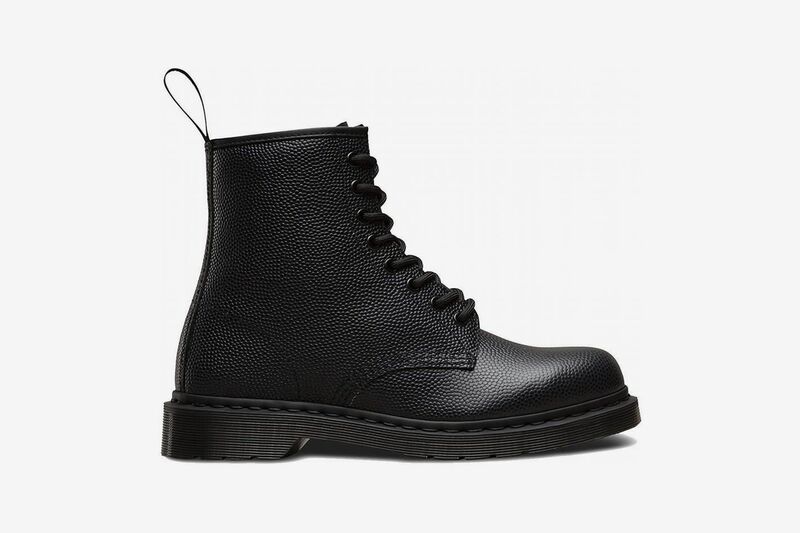 Those not ready to invest in Thom Browne should consider these lace-up leather boots by Dr. Martens, which are also made with a pebble grain, a thicker sole, and a stacked heel. 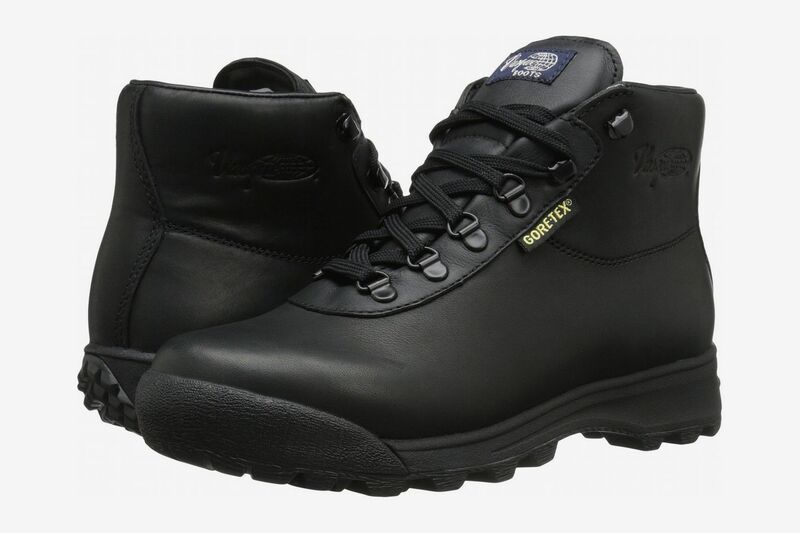 Strat’s resident cool guy Chris Black recommends these leather hiking boots for when rain starts to fall. 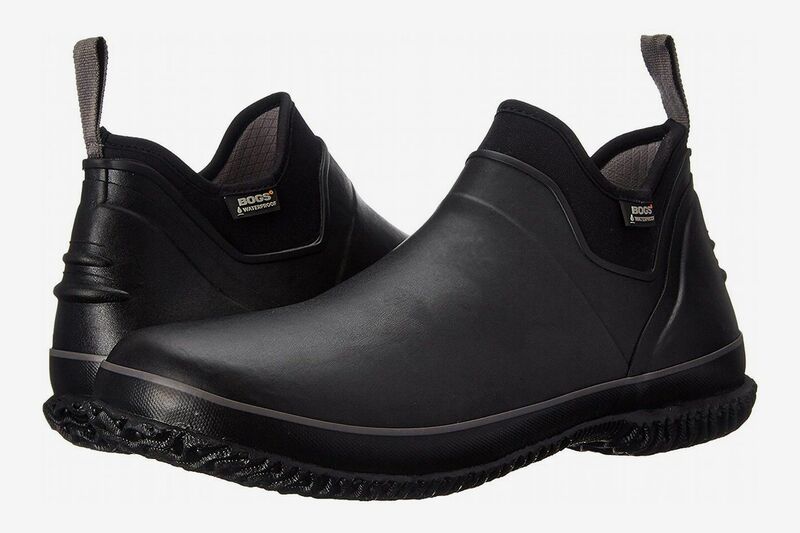 Their Gore-Tex shell is waterproof and breathable, keeping feet dry and fresh for hours. 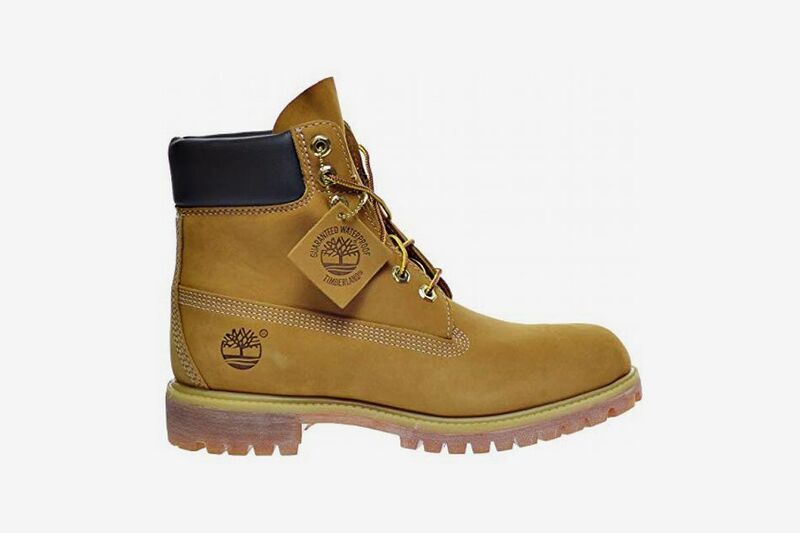 If wearing the same rain boot as “every cool dude” isn’t your thing, this Timberland-esque, lace-up style by workwear-brand Chippewa also protects in wet weather, thanks to its waterproof leather body and Vibram vulcanized-rubber sole. 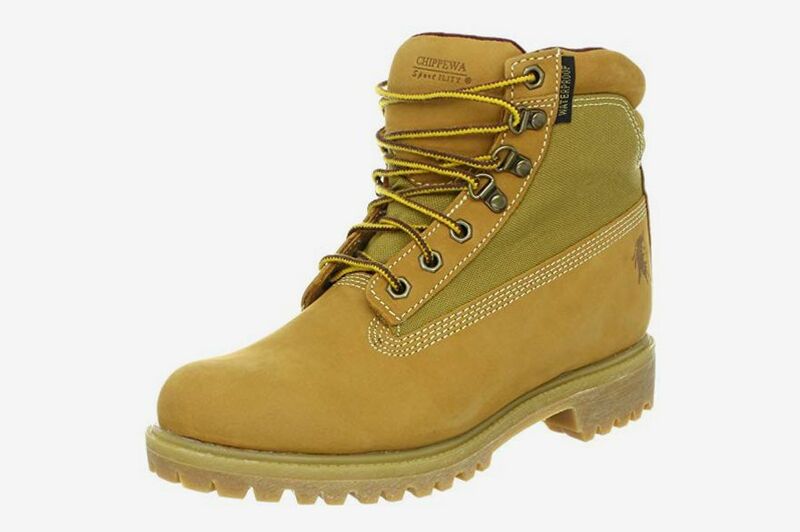 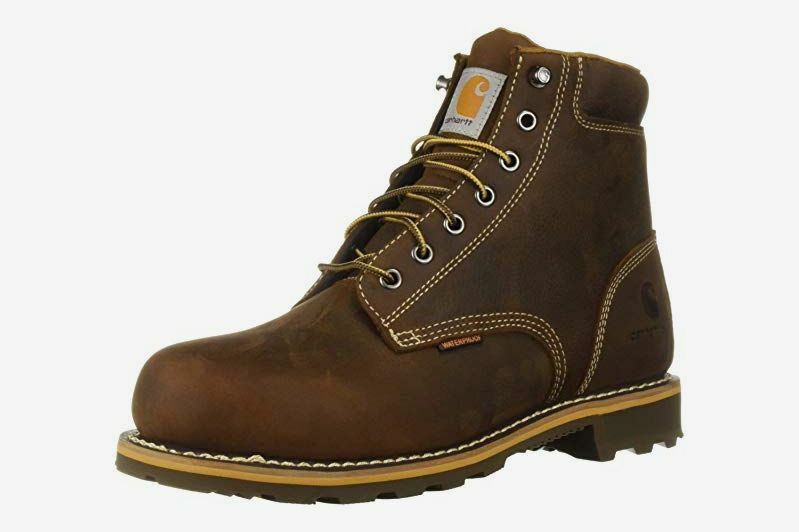 Carhartt’s Industrial Boot is another option for men who dig the workwear-as-rainwear style. 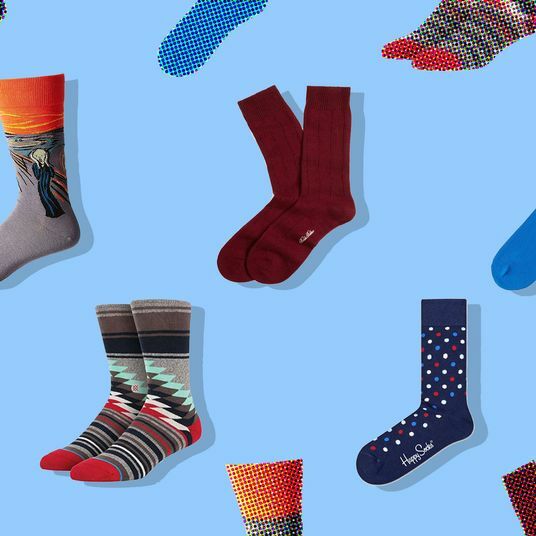 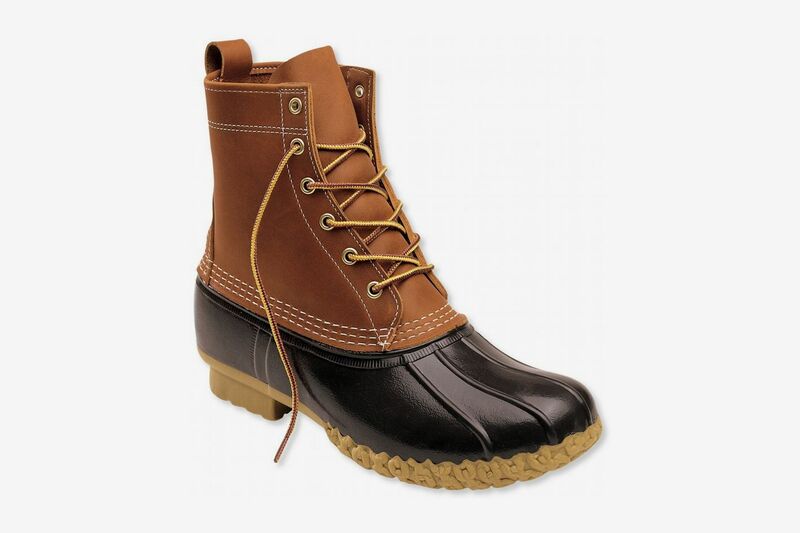 Its moisture-wicking lining keeps feet dry and cozy. 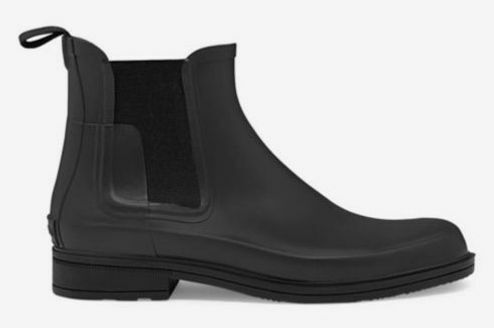 On the rare day that he must wear a dress shoe, Kirkland will break out these rubber galoshes to slip over his fancier footwear. 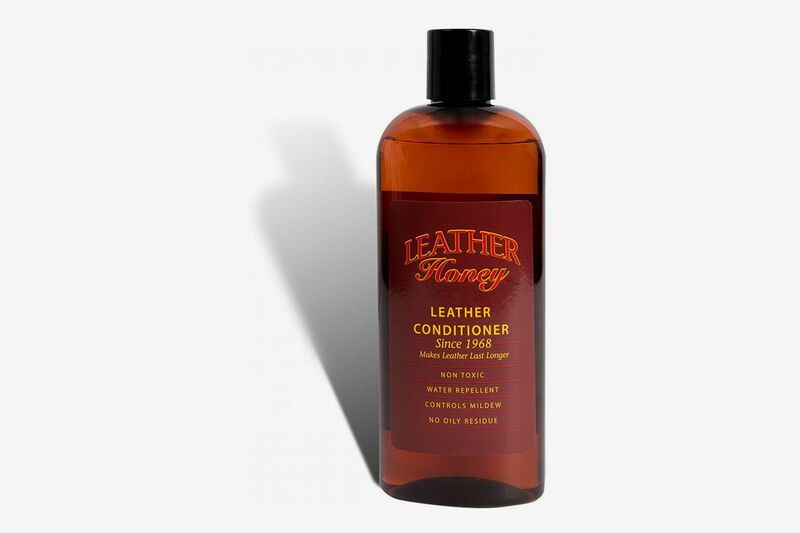 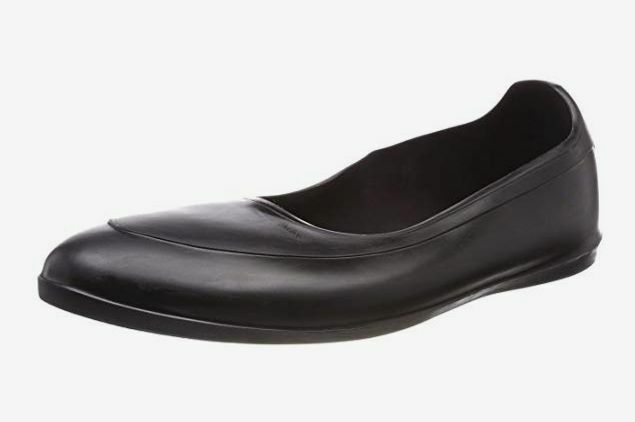 “They work really well whenever I need to wear proper leather dress shoes. 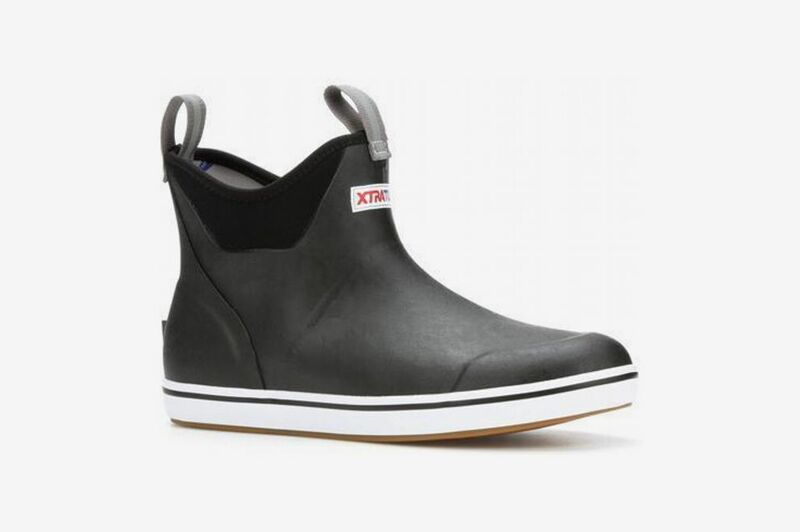 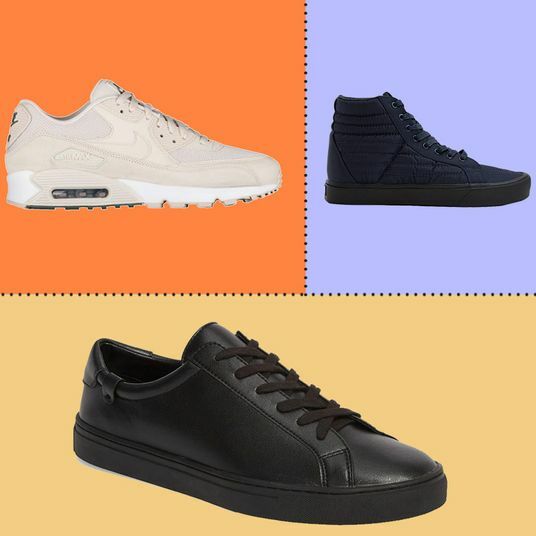 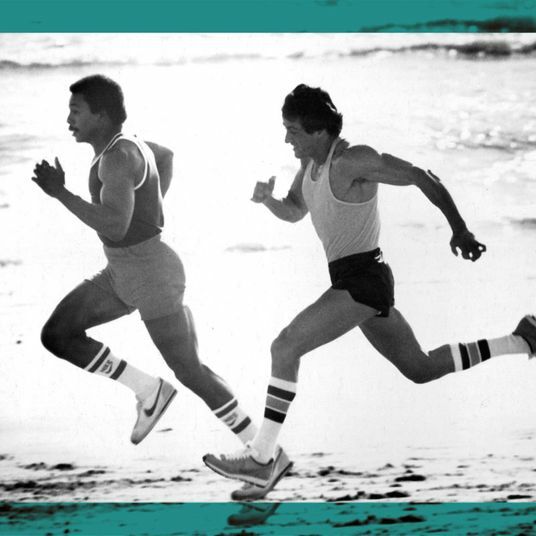 It’s really about protecting the sides of the shoe, and the bottom leather sole.” The galoshes also help you keep your footing while running to catch the train in the rain. 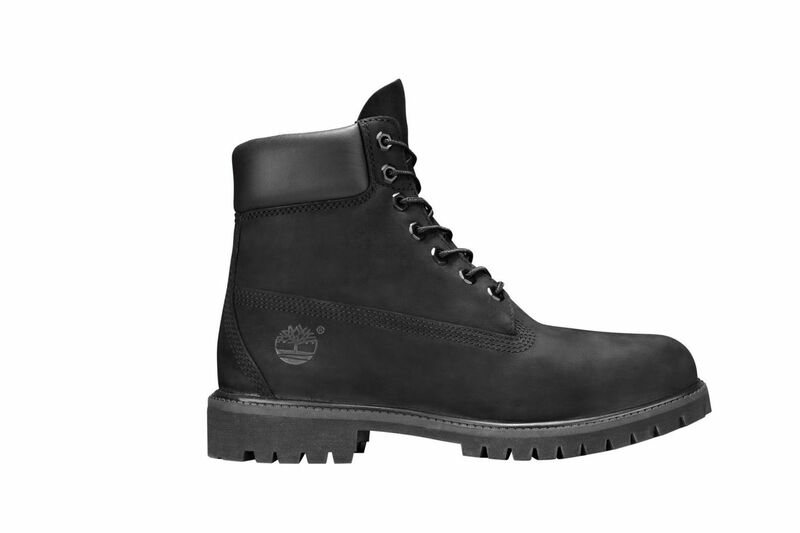 “They’re actually great for going down the subway stairs,” he says. 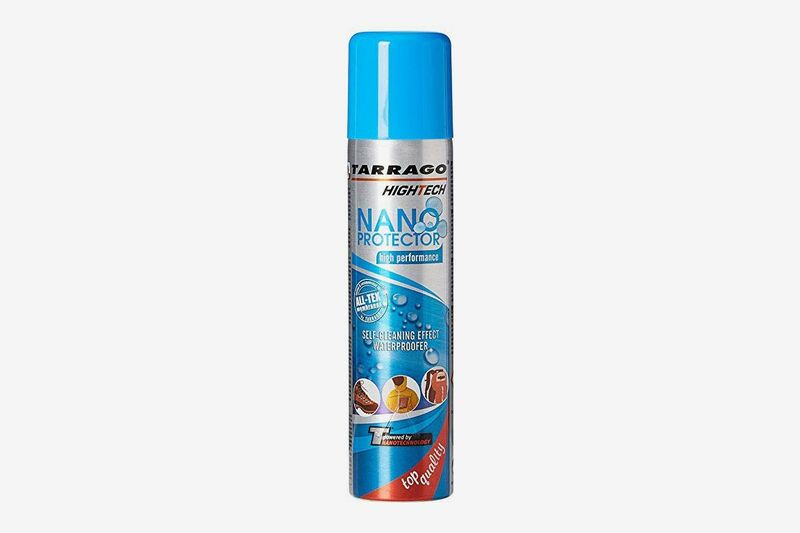 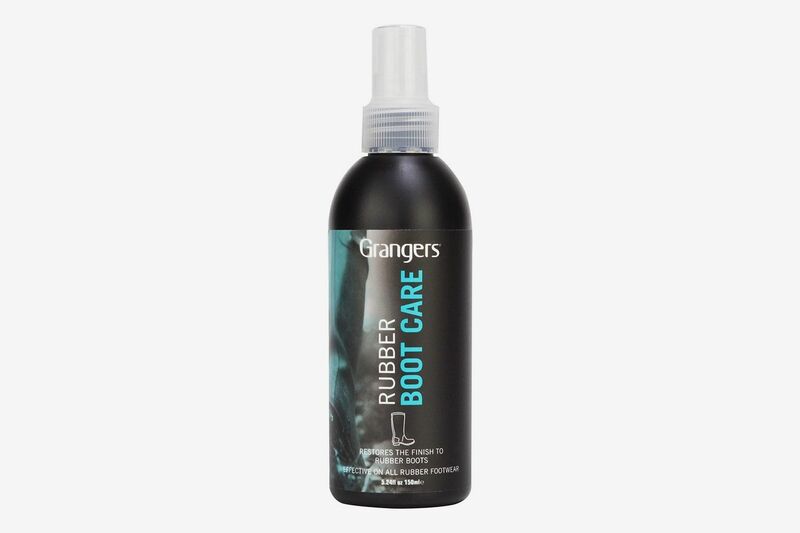 Kim’s go-to spray to prevent his rubber boots from drying out and cracking. 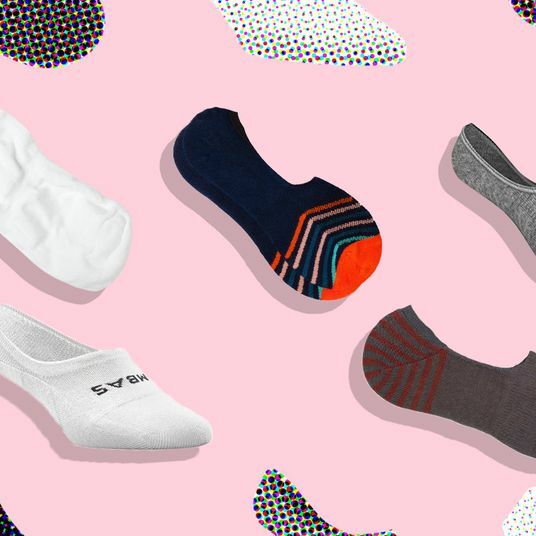 What’s the Best Men’s Underwear?